This diamond pendant is timeless yet unique! 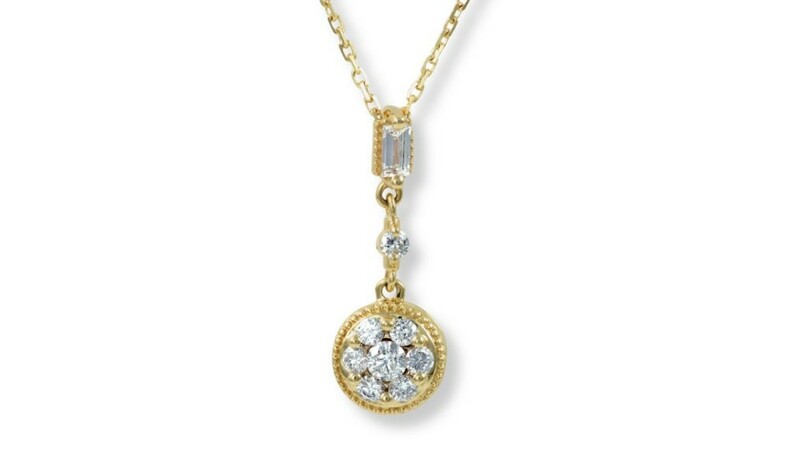 The baguette diamond at the top of this unique pendant harkens back to the Art Deco era. Paired with the round cluster of brilliant white diamonds that dangles at the bottom, this gorgeous necklace will draw attention from everyone around you!